Member ListMember - Hon. Edmund (Ed) Rupert Joseph Dermer, BSc (Hons), Dip. Ed. Hon. Edmund (Ed) Rupert Joseph Dermer MLC BSc (Hons), Dip. Ed. Elected to the Thirty-fifth Parliament for North Metropolitan Region on 14 December 1996 for term commencing 22 May 1997. Declared elected on 24 December 1996 following a recount to fill a casual vacancy until 21 May 1997 consequent upon the resignation of Hon. Samuel Mathew Piantadosi. Re-elected 2001, 2005 (for term commencing 22 May 2005). 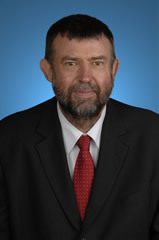 Re-elected 6 September 2008 for term commencing 22 May 2009. Retired 21 May 2013. Shadow Minister for Communications and Information Technology: 15 January 1997 - 10 February 2001. Government Whip in the Legislative Council: 22 May 2001 - 24 September 2008. Member, Trustee Parliamentary Superannuation Fund: 27 June 2001 - 21 May 2005. Reappointed 17 August 2005 - 21 May 2013. Opposition Whip in the Legislative Council: 24 September 2008 - 21 May 2013. Member, Joint House Committee: 18 March 1997 - 16 September 1997. Member, Joint Standing Committee on Delegated Legislation: 13 May 1997 - 26 June 1997. Member, Standing Committee on Estimates and Financial Operations: 26 June 1997 - 21 May 20011. Member, Standing Committee on Public Administration and Finance: 28 June 2001 - 21 May 20052. [Deputy Chairman from 1 August 2001 - 21 May 2005]. Reappointed 26 May 2005 - 17 August 2005. Member, Standing Committee on Public Administration: 17 August 2005 - 21 May 2013. [Deputy Chairman from 24 August 2005 - 4 June 2009] Reappointed: 4 June 2009 - 21 May 2013. Born 30 October 1957, Subiaco, Western Australia. North Metropolitan Region covers 14 districts, Balcatta, Carine, Churchlands, Cottesloe, Girrawheen, Hillarys, Joondalup, Kingsley, Mindarie, Nedlands, Ocean Reef, Perth, Scarborough and Wanneroo.